We’re a different kind of bank. We’re not a fancy app. And we’re definitely not one of the old high street monoliths. We’re Masthaven and we offer human digital banking. We were the first new bank to be awarded a banking licence in 2016. However, we’re not new. We’ve been providing a flexible and personalised approach to bridging loans and secured lending since 2004. Now we’re bringing that expertise to retail banking. Our London headquarters is home to our UK contact centre, and our teams of knowledgeable and experienced specialists in savings and lending. We’re committed to providing flexible and fixed term savings accounts, bridging loans, development finance and mortgages. Everyone has different financial needs. We get that. Behind this is the recognition that technology is great at streamlining things, but not so good at making lending decisions. Technology can’t be warmly human and empathetic, you need real people for that. So we use technology to make things simpler, quicker and easier and we employ friendly, clever people to do everything else. Your deposits with us are protected up to £85,000 by the Financial Services Compensation Scheme 'FSCS'. In the unlikely event that anything happens, you won't have to do anything. For information about the full scope of your protection, please read 'How FSCS protects your money', or visit the FSCS website. We’re authorised by the Prudential Regulation Authority and regulated by the Financial Conduct Authority and the Prudential Regulation Authority. The most important element of Masthaven is you. That’s why we’re 100% committed to making sure you get an unparalleled service. We can’t make the trains run on time, or make sure you get the polite waiter, but we can make sure your banking is hassle-free. To prove just how dedicated we are, our Customer Charter contains our promise to you. Find out exactly what it means. We’re only as good as the people we employ. They’re an exceptional team and we trust them to handle our customers personally. Peter has broad and extensive experience in financial services, operating at Board level, covering Financial Regulation and Governance in the UK and internationally. He’s worked as Managing Partner and Head of Financial Services UK at KPMG, Chairman at Saffron Building Society and Chair of the Audit Committee at CIT Bank. He is also a Freeman of the City of London and is involved in various City affairs, charitable events and City Livery Companies. Andrew is an FCA, qualifying as a Chartered Accountant in 2000 with KPMG, post qualification he moved to KPMG’s transaction services before working in the investment division of Strand Hanson. He then became Managing Director of Montague Knight, a property investment company, before launching Masthaven in 2004. Andrew also has a wealth of personal experience in property development and property investment. He built Masthaven from scratch to its current position of operating in the mortgage, development finance and bridging finance markets. Andrew has a wealth of experience in running lending businesses with specific expertise in credit risk. Jon has led Masthaven Bank from idea to becoming a new UK retail bank in 2016. Jon started his career with PWC, before joining Aviva and subsequently becoming CEO of Saffron Building Society. During his time at Saffron it won ‘Moneyfacts Best Service from a Mortgage Provider’ and was nominated twice for ‘Best Specialist Lender’ in the Mortgage Strategy Awards. It also became known for digital innovation and was voted as the 2nd most digitally mature Building Society. Recently, Jon was selected as one of 'The European Digital Financial Services Power 50', a prestigious award for most influential leaders within European financial services. Anne has nearly 40 years executive experience across all sectors from lending to wealth management and direct channel delivery. She was part of the launch of Lloyds Internet banking, Chief Executive of both Standard Life Bank and Standard Life Healthcare, and was a founding Director of Standard Life Wealth. She also sits on the MBNA board and is Senior Independent Director of the Audit and Risk Committee for Mattioli Woods plc, and is a non-executive member for finance and probity within NHS Commissioning Groups. Ashley joined Masthaven in October 2016 following a successful career in Retail Banking. Most recently, Ashley was Chief Digital Officer and a member of the banks executive committee of the newly created TSB bank. He worked for many years at Lloyds Bank where he experienced a diverse set of leadership roles, ranging from lending through to operations, customer service and digital business. Previously a member of the Digital Advisory Committee to the Government Digital Service, Ashley is currently a non-executive committee member at the Department of Work and Pensions sitting on the Departmental Audit and Risk Committee and the Digital Advisory Committee. Michael has over 30 years of experience in finance gained with KPMG, BDO Stoy Hayward and in senior management roles and has been working for William Pears Group since 1999. Andrew started his career with PwC, before joining the West Bromwich Building Society in 2004. During his 10 years at the Society he worked in a number of roles within Finance, Treasury and Corporate Strategy before joining the Executive team as Divisional Director of Finance. Subsequently he became Head of Finance at the Coventry Building Society and a member of the Leadership Team as they went on to become the 2nd largest Society in the UK. He has extensive experience in all aspects of Finance and Treasury in a highly regulated environment. Lisa has spent the last 25 years in the banking sector, developing her specialism in risk management, compliance, corporate governance and internal audit. Her global portfolio boasts a diverse range and size of organisations, including Nationwide Building Society, Royal Bank of Scotland and Barclays. Lisa is also a well-respected external speaker on the topics of operational risk, internal audit, corporate governance and risk culture. Al has over 30 years experience working in both retail and investment banks across the UK, USA and Czech Republic. Masthaven is the fourth start-up banking operation that he has delivered (previously a joint venture between Merrill Lynch and HSBC, Equa Bank and Aldermore), and has a track record of driving rapid business growth within accelerated time-frames. As Chief Technology Officer, Al has a responsibility for IT, Change and Operations. Tricia has over 25 years’ experience working in financial services in both corporate and retail banking, operating in both domestic and global matrixed structures. She started her career as a banker in Barclays before specialising in HR after 12+ years of branch banking and Head Office roles. She has extensive experience in all aspects of Human Resource Management in highly regulated environments and brings a wealth of experience to Masthaven Bank. Simon has over 40 years experience in Banking and Financial Services across the majority of Lending and Savings Products as well as general insurance. A Senior Executive with Lloyds Banking Group Plc for 10 years , followed by Senior Interim management and consultancy roles, before returning to permanent position as a Managing Director at Shawbrook Bank Plc and more recently as COO. 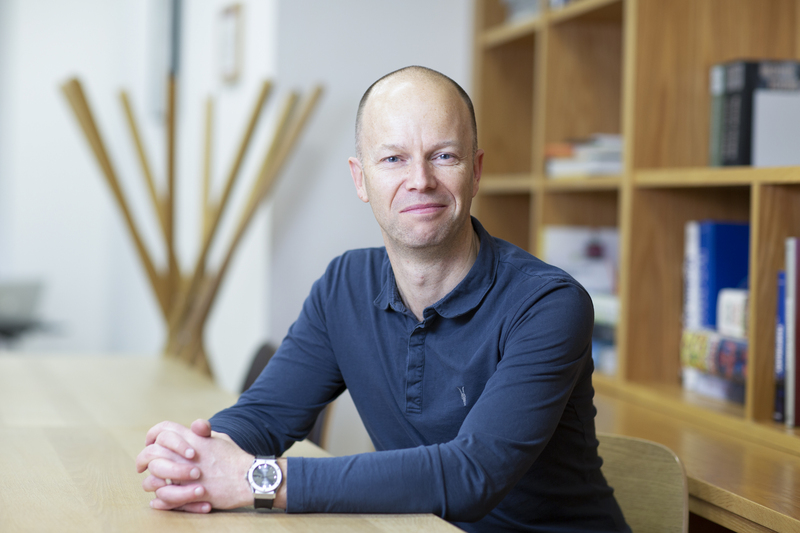 With over 20 years C suite experience in Big 4 and Challenger Banks, Simon has led and managed teams of up to 2500 and managed budgets in excess of £200m. James joined Masthaven after 29 years at specialist development finance operator Regentsmead. During his tenure as Chief Executive, he created the Short-Term Lending department and grew the business to become one of the leading privately owned development finance businesses in the market. Matt joined Masthaven in April as MD of the long term lending operation. Post GFC Matt spent 7 years as a CEO in PE portfolio companies, specialising in FS start up and turnarounds. He has successfully built 3 lending start-ups, most recently leading the creation of Bluestone Mortgages, which was shortlisted for best specialist lender in its first year. Previously Matt was Managing Director of Merrill Lynch direct to consumer division, and a Director of Kensington Mortgages B2C division. Ruth joined Masthaven Bank having previously held senior positions at Nationwide and Barclays Direct during her successful career. Ruth has many years of invaluable experience in every aspect of Customer Service and brings a passion to Masthaven for delivering the perfect experience to every customer at every touchpoint. What I enjoy the most about Masthaven are the people and a feeling at the end of the day of doing a good job. A computer can’t understand the complexity of human lives. That’s why we employ friendly specialists. If you’re interested in working with Masthaven take a look at our vacancies.